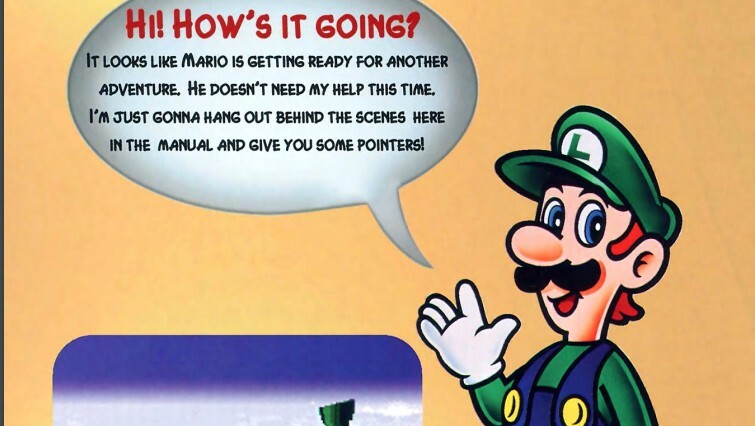 To go along with the Super NES Classic, Nintendo has posted PDFs of the games' original instruction manuals, leading to a reflection of just what these tutorial tomes meant to gaming as a whole. The Super NES Classic has been out for almost a week and it's every bit the blissful nostalgia trip that was advertised. It faithfully captures the games of our youth, though there are certain elements of childhood that it simply couldn't capture. That's not Nintendo's fault, but it's simply because some aspects of the Super NES age have simply gone away forever. Nintendo has gone to the trouble of collecting the original instruction manuals that came with each of the SNES Classic's game cartridges and posting them on their website in PDF form. They're a fascinating time capsule. They're a throwback to a simpler era of when kids would need to briefly open a booklet to learn how to play the game they were about to pop into the Super NES. But with 20 years of hindsight, it becomes clear that instruction manuals were more than primitive how-to's. They were a form of expression in themselves. Today's game have no trouble telling their stories. They're filled with CGI cutscenes that would provide valuable exposition. Some games would offer tutorial levels that would double as an introduction to the game's setting and narrative. They would introduce players to both the story's heroes and villains, while communicating what's at stake in their conflict. Twenty-five years ago, there were instruction manuals for these narrative setups. One would think that The Legend of Zelda: A Link to the Past would feature every story beat within the game. That's not the case. In fact, this instruction manual offered up five full pages of narrative exposition. And it wasn't just about the game, either. 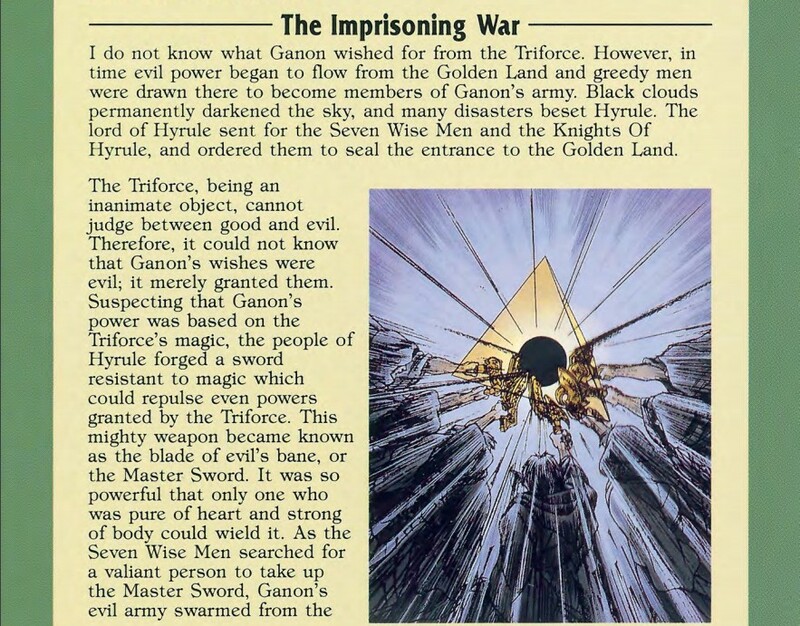 It went into the full Legend of Zelda lore, going into the Hylian goddesses, the creation of Hyrule itself, the function of the wish-granting Triforce, and the war with Ganon that left him imprisoned. It's enough to captivate anyone fascinated by the fantasy genre. Mega Man X pulled off something similar after Capcom was presented the challenge of creating a spin-off of its wildly popular NES franchise. 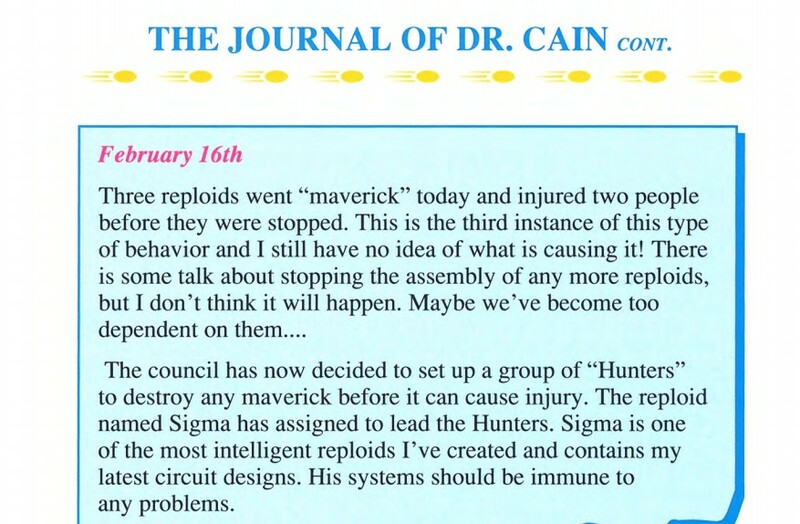 The publisher utilized a different storytelling device within the instruction manual, presenting the journal entries of the future's Dr. Cain. From his perspective, readers were told the story of how Dr. Cain found the remains of Dr. Light and his work, including the never-activated "reploid" called X. On top of that, it perfectly illustrated the folly in Dr. Cain attempting to replicate Light's work, creating new reploids that ultimately went rogue. 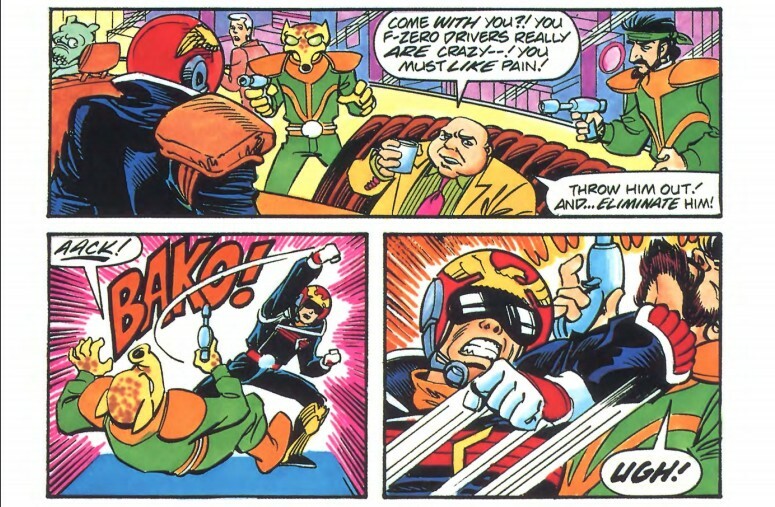 It was the story of how Dr. Cain inadvertantly became that era's Dr. Wily. The Mega Man X story, like many others of the 16-bit era, is something that can be told through modern cutscenes or even YouTube videos. But in 1991, the stories were told through instruction manuals and unfolded in the reader's imagination. Game creators and artists have found several different outlets to show off their artwork in 2017. There are hardcover artbooks sold through outlets like Amazon and Barnes & Noble, reprinting some of their most eye-catching assets. Indie developers have offered behind-the-scenes looks at their work through their websites or through Tumblr. Some developers, like Shovel Knight creators Yacht Club Games, have turned to livestreaming outlets like Twitch to give fans direct looks into the artistic process. In the 16-bit era, instruction manuals served as additional outlets for creators and publishers to put out additional drawings and concept art. They were gorgeous works in themselves, helping add color and flavor to what should otherwise be a monotonous tome about how to play the game. Meanwhile, Donkey Kong Country was the first console game ever to utilize pre-rendered 3D graphics, a feat Nintendo wanted to convey to anyone that picked up the 1994 classic. 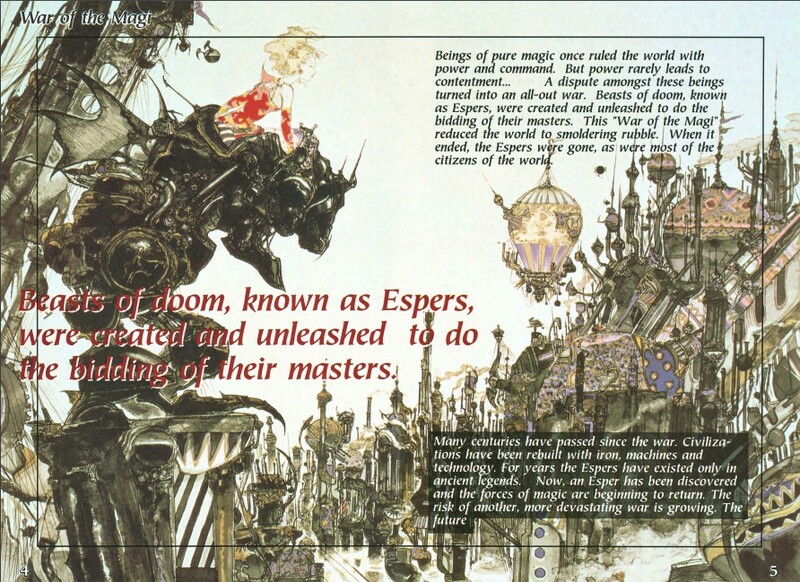 That's why the instruction manual featured unique artwork, showing DK's new look and his new world. The F-Zero manual went a full step further and would actually fit in under the "Exposition" category, as well. For its futuristic racer, Nintendo went the extra mile and put out a full-blown comic book to introduce its world and its hero. It's brilliant comic-book style artwork, especially for the time period. 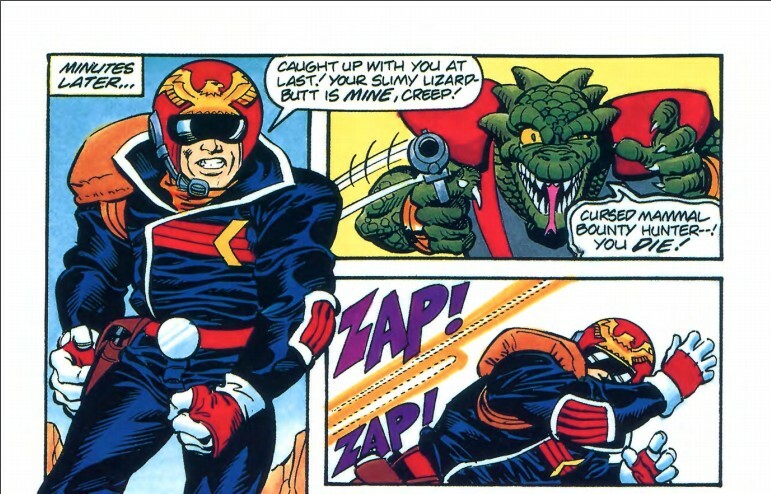 And sure, the first three-quarters of the story feel like they're setting up an entirely different genre of game, but it was genuinely cool to open up an instruction manual and read a comic book tale of badass bounty hunter Captain Falcon. Show me your moves, indeed! That's exactly the kind of out-of-the-box experimentation that instruction manuals allowed for. It was the chance for someone to tell a visual story, whether through an F-Zero comic or through drawings of a golden Trifoce. Instruction manuals were a chance for artists to express themselves and get their work out to a whole generation, even if the work seemed thankless at the time. Finally, instruction manuals provided trivia and minutae that many dedicated gamers love to feed on. 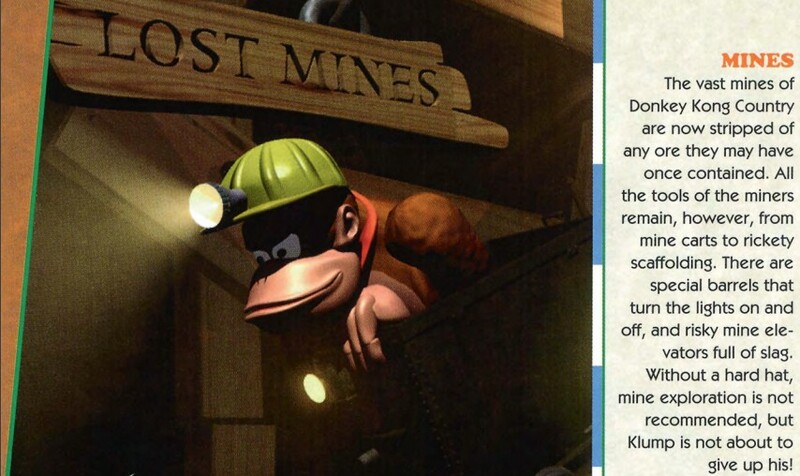 Instruction manuals are where players learned that Cranky Kong was the original Donkey Kong from the arcade version. They were where Super Punch-Out players learned that Gabby Jay's sole win in his 1-99 record came against original Punch-Out jobber Glass Joe. They were the only place to find Luigi in Super Mario RPG: The Legend of the Seven Stars. Some publishers still celebrate the little factoids that popped up in their instruction manuals. Capcom, for example, still celebrates the birthdays that show up in the Street Fighter II Turbo: Hyper Fighting manual. For every obvious fact that an instruction manual contained, there was a fun fact to go along with it. Super Metroid, for example, is filled with obvious facts about text boxes, save settings, and the like, but there were also a few cool nuggets of info, like the fact that Tourian was rebuilt following the events of the original Metroid. Instruction manuals are an underappreciated element of old-school gaming. It's understandable why they've gone by the wayside, but it's no less sad. So it's appreciated that Nintendo has posted the full manuals for all of the SNES Classic games, including the complete strategy guide for Earthbound that was included in every one of those games at release. Give them a look, if for no other reason, than to reflect on how video games have changed and moved forward in the past 25 years. Great piece,Ozzie, that was fun to read! This is good work, Ozzie. One of the best pieces you've done for the Shack. Is there any game that tries to capture the aesthetic of early prerendered cgi like in ff7 and dkc? I'm currently playing Phantasy Star and a bit of sword of vermillion. Both games came with a guide included in the box back in the day. It's hard to know how to progress in those games without them. Almost impossible at times.